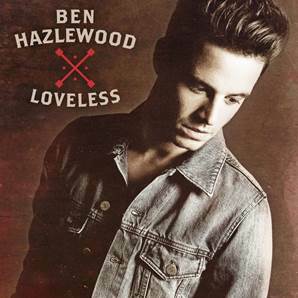 Ben Hazlewood will perform alongside Rachel Leahcar at Roselands Shopping Centre, Thursday 2 May from 7:00pm. Ben is excited to be performing tracks from his brand new EP ‘Loveless’ at The Roselands Shopping Centre. Since launching last week, Ben’s EP has been incredibly popular, jumping into the top 40 Australian albums. As one of Australia’s most talented rising vocalists and song writers; Ben Hazlewood hasn’t stopped since capturing the nation’s attention on hit TV show The Voice. Roselands is expecting huge crowds eager to experience Ben’s new musical offering and fans will have the chance to meet and greet the artist himself as Ben will be signing copies of his new album after his performance. Made up of six dynamic tracks, the EP is a reflection of the vibrant and mature artist that Ben has developed into since being coached by famed US pop-rock musician, Joel Madden, on The Voice last year.